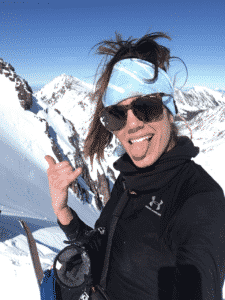 So, maybe you spent your day on a multi-pitch climb with a steep approach, or sent gnarly lines all day on your skis, or maybe you made it to the summit of a gigantic mountain…now you are starving and ready to eat basically anything! I am not going to tell you not to indulge in some pizza and beer, but let me drop some knowledge on you about recovery foods first. You can incorporate these recommendations into your normal routine very easily. Post-exercise nutrition is vital for the muscle repair, protein synthesis, prevention of soreness and can increase strength and energy levels the day following an intense day in the backcountry. Building strength and endurance requires stressing the body with specific exercises and then allowing time for recovery and adaptation. Nutrition is particularly important for multi-day outings since it can enhance strength building, improve immunity and reduce fatigue. I scouted through some of the recent studies and text books to put together some basics for all of you die-hard adventure junkies looking to increase your strength and stamina so you can get out there and get after it tomorrow too! First let’s talk about DOMS, or Delayed Onset Muscle Soreness. It is the painful sensation we feel in our muscles the day after intense physical exertion. DOMS temporarily reduces strength, energy and endurance for up to 3 days. This can be detrimental to our backcountry objectives, especially if you are going to be in remote locations for a couple days with little time for slowing your pace. Proper recovery nutrition can reduce the effects of DOMS and reduce exercise induced muscle damage. In addition to walking or light exercise, nutrition is the most important component to reducing soreness. It is even more beneficial than stretching, according to recent scientific literature. Now let’s look at some particular nutrients, their preferred timing and the specific amounts you will need maximize their healing properties. Rehydrating after exercise is important for the body’s ability to regulate temperature, remove metabolic waste, support the cardiovascular system and lubricate joints among other things. Though most people drink fluid during exercise, most of us still end up with a fluid deficit. Dehydration in the form of lack of water and electrolyte losses can cause dizziness, fatigue, nausea, heart palpitations and muscle cramps. The most important electrolytes to replace are sodium and potassium because it helps balance the fluids in your body. Carbohydrates also enhance fluid absorption. This is why popular sports drinks contain potassium, sodium, sugar (typically fructose) and of course water. You should aim to replace about 125-150% of the water lost during exercise. The best way to measure fluid loss is to weigh yourself before and after exercise, bearing in mind how much water your drank during that time period. Losing 1 pound of body weight is equal to 16 oz of fluid, so you would want to replace that with 24 oz of fluid. Fluid losses differ depending on heat and type of exercise with an average sweat loss in anywhere from 0.3-2.4 liter (10-77 ounces) per hour depending on intensity of exercise. That is quite a large range, so take note of how sweaty you are getting! Most people do well with about 0.4-0.8 liters (13-26 oz) fluid per hour during exercise. I recommend drinking 2 liters of fluid within 4 hours of completing your outdoor excursion with the assumption that you drank some fluids during exercise. This can be in the form of water, soups, teas, juices or any other fluid (except beer!). How should electrolytes be replaced post exercise? Sodium should not be restricted post exercise, so either consume an electrolyte containing drink (i.e. gatorade, powerade, or better-yet make your own sports drink at home) or enjoy a salty snack with your water. Potatoes and bananas are an excellent choice because they contain potassium as well. Check out Kasey’s next post about essential nutrients for recovery. She will teach you how to replenish your body with quantities and timing of nutrients so you can stay charged up for back country missions day after day. To learn more about the importance of hydration at altitude check out the post by dietitian Melissa Michael, MSc, RD. Another post that may be of interest is “What to Eat and Drink while Exercising in Hot Weather” by dietitian Briana Bruinoodge, RD, CPT. 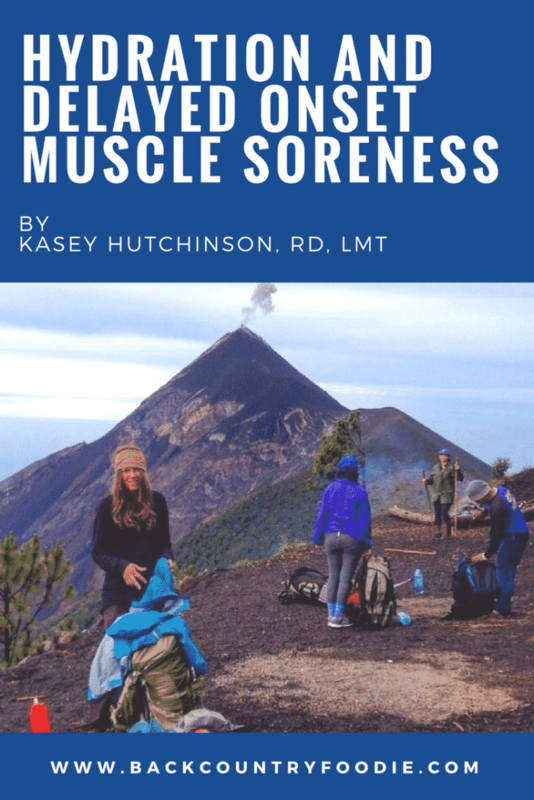 Kasey Hutchinson, RD, LMT is a registered dietitian, massage therapist and outdoor enthusiast. She lives in the Rocky Mountains of Montana where she enjoys backpacking, camping, rock climbing and back country snowboarding every chance she gets. 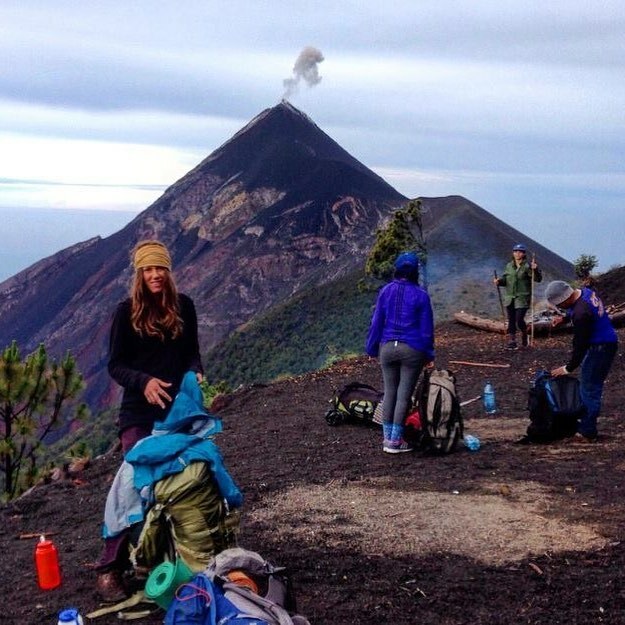 Kasey’s passion for health, nutrition and the great outdoors fuels her curiosity to discover the best foods for backcountry missions and overall health. Kasey hopes to inspire people to live a vibrant, fulfilling life using outdoor exercise and healthy food as the vehicle for success. For more information about Kasey’s background and services, check out www.vibrantnutritionrd.com. You can also follow Kasey’s outdoor adventures and culinary tips on Instagram.